Google this week has updated its Android Developers Dashboards, a group of webpages that provide in-depth information on the type of devices that access the Play Store. In a not at all surprising turn of events, the number of devices running the latest version of Google’s mobile operating system, 5.x Lollipop, has increased, and at a significant rate, too. 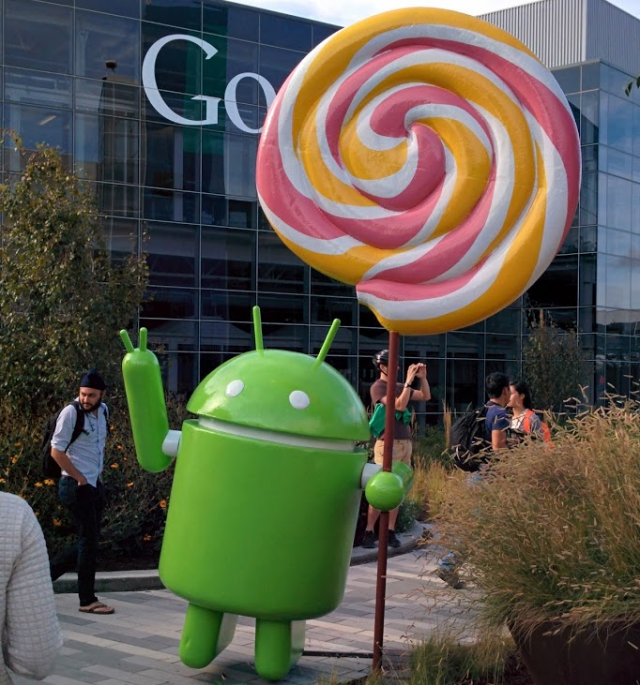 21 percent of devices are now running Android 5.0 and 5.1. Since the last time Google updated the website, the number of devices on 5.1 has increased by 2.5 percent. With the release of Marshmallow forthcoming, it will be interesting to see where Lollipop goes in the coming months; this may be its peak. 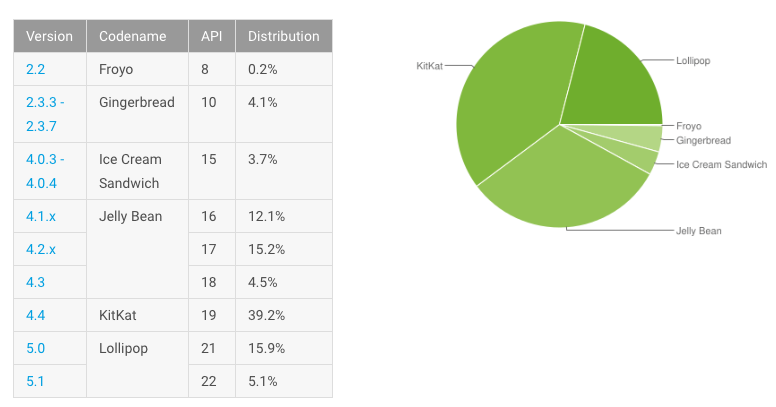 On the other end of the spectrum, KitKat is still the most used version of Android with 39.2 percent of devices accessing the Play Store on that iteration of Google’s mobile operating system. 31.8 percent of devices are still on some version of Jelly Bean, meaning that more than two-thirds of all Android devices on a version of Android between 4.1 and 4.4. Even with Marshmallow coming out, it’s likely we’ll see KitKat continue to be well-represented for some time. Other interesting tidbits include that 0.2 percent of devices are on Froyo, an operating system that was released more than five years ago. Moreover, Gingerbread is on more devices that ICS—4.1 percent vs 3.7 percent.